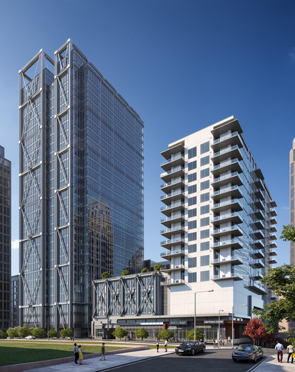 The proposed 1105 West Peachtree mixed-use development will occupy the site bounded by 13th Street on the North, 12th Street on the South, and Peachtree Walk on the East. The project contains approximately 16,858 SF of retail that will be located at street level, approximately 81 residential condo units, approximately 156 key hotel (located on 13th Street), 32 story office tower (located on West Peachtree Street), and structured off-street parking for approximately 1,580 vehicles to support the various components of the project. 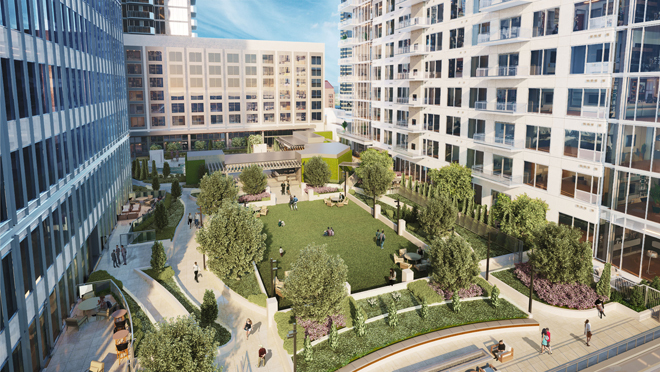 The office, hotel, and residential buildings all overlook a shared amenity plaza located above structured parking. 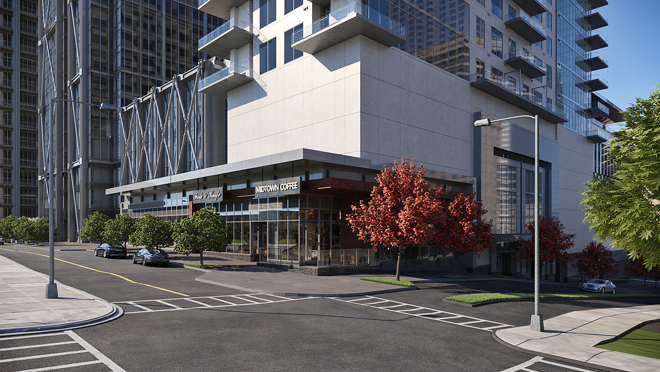 As part of this development, Peachtree Walk will be widened to provide a landscaped median, a roundabout at the intersection of Peachtree Walk and 13th Street, street parking, and an Art Wall that will become an active part of the proposed Midtown Art Walk that will eventually run from the Midtown Marta Station to the Woodruff Arts Center.